Lois VanderKooi, part of a Broomfield community group hoping to pass Question 301, stands in front of the Interchange Pad, the first location Extraction Oil plans to develop. (Ted Wood/The Story Group). Broomfield resident and psychologist Lois VanderKooi was relaxing at home earlier this month after a long day working in her private practice. She spread out on the couch, picked up her phone, and started rotating through the five Words with Friends games she plays with her brother and old college friends. Suddenly, an ad popped up: “Say NO to more political division. Say NO to the threat of lawsuits. Say NO to Question 301.” The ad invited VanderKooi to watch a video and sign up for more information. She moved on to her next game. VanderKooi, who describes herself as a “preacher’s kid” from the Midwest who has lived in Colorado most of her adult life and in Broomfield since 2002, can’t figure out how she was targeted for these ads. She had recently become involved with supporting Question 301, a citizen-driven ballot initiative on the Nov. 7 ballot. Question 301 is yet another effort on the part of Colorado communities to exert some control over the large industrial oil and gas operations that are steadily encroaching on schools, playgrounds, water sources, and subdivisions across the Front Range. 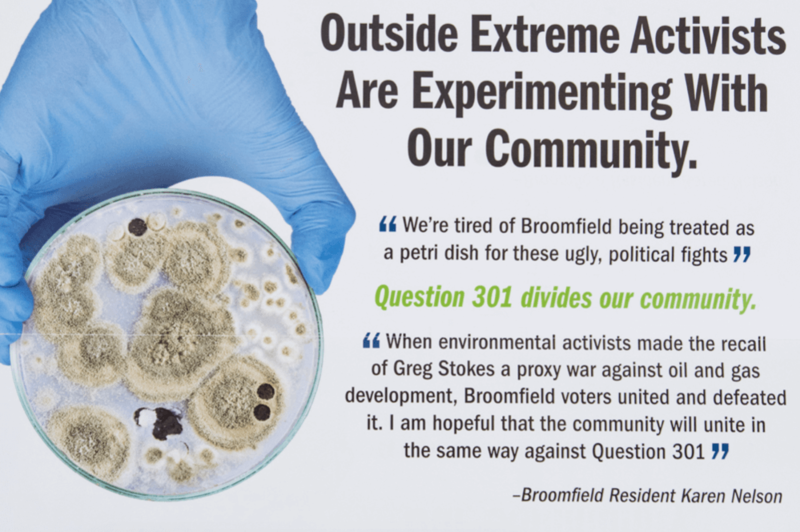 The 301 initiative seeks to amend the Broomfield Charter to provide local elected officials the power to insist that any proposed oil and gas development near residential areas prove that the industrial activity will not affect residents’ health and safety before granting approval to drill. In what has become a familiar election-time ritual in the state, Question 301 is being aggressively – and expensively – opposed by the oil and gas industry. Targeted ads are a fact of life for most internet users these days, but the Words with Friends pop-up still unnerved VanderKooi, who realized then that the industry not only had big money at its disposal, but was willing to spend it on some very sophisticated techniques. She had recently participated as a member of Broomfield’s “Oil and Gas Comprehensive Plan Update Committee,” a group of citizens tasked by Broomfield council members to make recommendations regarding proposed residential oil and gas development in this suburban enclave of 65,000 residents halfway between Boulder and Denver. The soft-spoken VanderKooi has experienced heightened tension, including heated exchanges, between industry and residents as she has become more involved in the community’s fight to limit hydraulic fracking close to homes and the city’s planned drinking water reservoir. The next day, the Words with Friends ads reappeared, and VanderKooi started noticing other ads on her Facebook feed, extolling the benefits of fracking. The ads linked to Coloradans for Responsible Energy Development, or CRED, an oil and gas industry-funded group that was deeply involved in the last election’s successful efforts to block citizen-sponsored initiatives to limit residential oil and gas development. “I thought, ‘Wow, they have a lot of money to be able to to this,’” Vanderkooi said. Why would the oil and gas industry be so vested in a small town citizens’ initiative? The answer is definitely in the question: Question 301. In Broomfield, voters will soon elect or re-elect five members and a mayor to their 10-member council. The election has the potential to raise or reduce the City and County of Broomfield’s willingness to challenge the legal limits of local control over oil and gas development. As it stands now, the council is typically split on such issues. If just two seats change hands, the outcomes of important votes could look quite different. The stakes of the upcoming Broomfield council election came into sharp focus on Oct. 24, when the current council voted 6-4 to approve a contentious Memorandum of Understanding (MOU) with Denver-based Extraction Oil and Gas to drill 84 wells at pads situated around the city. Several of those “yes” votes were cast by council members being challenged by candidates who have vowed to fight oil and gas development more aggressively. The vote came at 1 a.m. last Wednesday morning after an emotional public comment period, where 90 people signed up to speak for three minutes apiece to council chambers that overflowed into an adjacent foyer. The meeting was also televised live. A majority of the speakers voiced concerns about the health and safety implications of so many wells, citing complaints about nose bleeds, vibrating houses, and horrible smells that neighboring Erie residents had filed to state regulators about recent activity in their town. County commissioners and residents of adjacent Adams County chimed in, since last-minute changes in Extraction’s proposal placed new wells close to the Adams County line, near well water and houses there. Property rights advocates voiced concern about the impact of the agreement on Broomfield’s Wildgrass neighborhood residents, who own their mineral rights and were being threatened by “force pooling” to lease them to Extraction. Forced pooling is part of an arcane statute in Colorado law that permits energy companies to compel mineral owners to lease their rights, even if those owners object. At Wildgrass, most of the residents do object. Many people at the meeting urged the council members to simply wait a couple weeks until the election, where a new council could consider the Extraction proposal, and Question 301 will have been answered. Residents who spoke in favor of signing the agreement said that the deal was the best they could achieve, given the state’s stranglehold on regulatory authority over the industry. Extraction had agreed to concessions, they argued, such as slightly bigger setbacks between wells and homes than state law requires, and the use of pipelines to transport hydrocarbons from the well pads, which will reduce truck traffic. Some council members took up residents’ pleas to postpone the vote, but the tie on that amendment was broken with a “no” vote by Mayor Randy Ahrens, who is also up for re-election. In the final, tense exchanges between council members and Extraction representatives, Extraction Vice President and General Counsel Eric Christ laid down the gantlet: If the Council didn’t agree to terms then and there, he said, Extraction might vastly increase the number of wells they would drill and potentially increase truck traffic by forgoing the pipelines, since state law would allow that. “This is our last and final offer,” Christ said. Question 301 is also important because it poses a novel legal approach to an ongoing issue known as “pre-emption.” In 2012 and 2013, four Colorado cities and a county passed initiatives to temporarily or permanently ban fracking. Broomfield was one of them. But in May 2016, the Colorado Supreme Court overturned local bans on hydraulic fracturing, ruling that state laws that permit drilling trump local laws that prohibit it. This language is similar to the recent Colorado Court of Appeals ruling in the case of Martinez v. Colorado Oil and Gas Conservation Commission (COGCC), which affirmed that state law requires such a review. 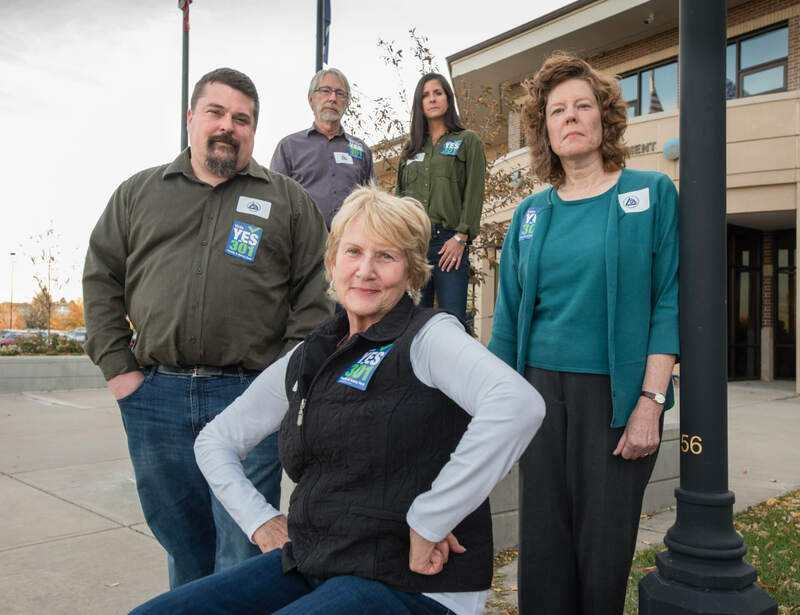 That case arose when a group of Colorado teenagers proposed that the COGCC decline to issue oil and gas drilling permits without third-party confirmation that such drilling would not adversely affect human health or the environment. The case is now pending acceptance or rejection of an appeal made by state Attorney General Cynthia Coffman to the Colorado Supreme Court. After Question 301 made the ballot in Broomfield, the oil and gas industry launched its now-familiar money-fueled asymmetrical political warfare, outspending its opponents about 50 to 1 in the most recent round of reported spending. Industry dollars are supporting a ubiquitous media blitz, with “I ♥ Fracking” billboards along interstates and pro-industry television and radio ads. The most recent financial reports show that between Sept. 25th and their first filing on Oct. 17, oil and gas organizations donated more than $340,000 to defeat 301. The final expenditure reports are due Nov. 3, which is the Friday before elections, and will be posted on the CCOB website. In most political fights, last-minute expenditures ramp up considerably. RELATED: WHO’S BEHIND `DECLINE TO SIGN’ EFFORTS? This industry money is fueling standard-issue red meat television ads on Monday Night Football and elsewhere, featuring former Gov. Bill Owens warning that, “National outside groups are trying to turn Broomfield into a political battleground over oil and gas development — again.” In the ad, Owens warns that, “if  passes, expensive lawsuits are coming.” It is unclear whether Owens was paid for his participation in the ad; he did not respond to The Colorado Independent’s requests for comment. Notably, Kennedy is the “registered agent” for five other local groups spreading money into other local elections where oil and gas development is or will be an issue, including Aurora for a Better Economy, Thornton for a Better Economy, Broomfield for a Better Economy, Fort Lupton for a Better Economy, and Greeley for a Better Economy. The Greeley Tribune reported that the Greeley group has poured $50,000 into the local elections, and noted that both CRED and Kennedy were both linked to the group. Kennedy did not respond to multiple requests for comment from The Independent. Expenditures for “Vote No on 301” include $20,000 for “Blitz Canvassing” on Oct. 9 and Ascent Media for “tv advertising” on the same day. In addition, big money has flowed from industry-supported groups to law firms such as Brownstein Hyatt Harbor Schreck, and Hogan Lovells. Hogan Lovells received $215,000 from Protecting Colorado’s Environment, Economy and Energy Independence. The same group gave more than $20,000 to Brownstein Hyatt Harbor Schreck. 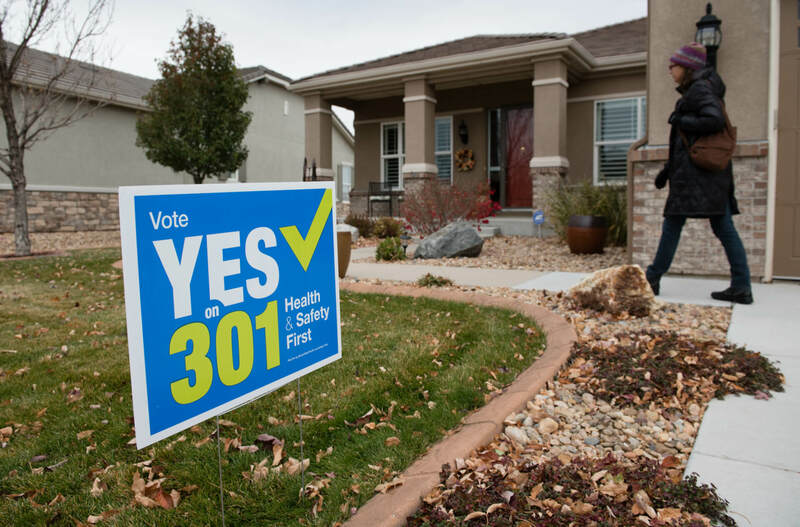 The “No” campaign’s declared war chest and spending far eclipses those of the main citizen-backed group in support of 301, Broomfield Health and Safety First. This group raised just over $7,000, more than $4,000 of which came in the form of in-kind contributions. The group raked in just $2,825 in monetary donations, from 66 individual donors all giving $100 or less. 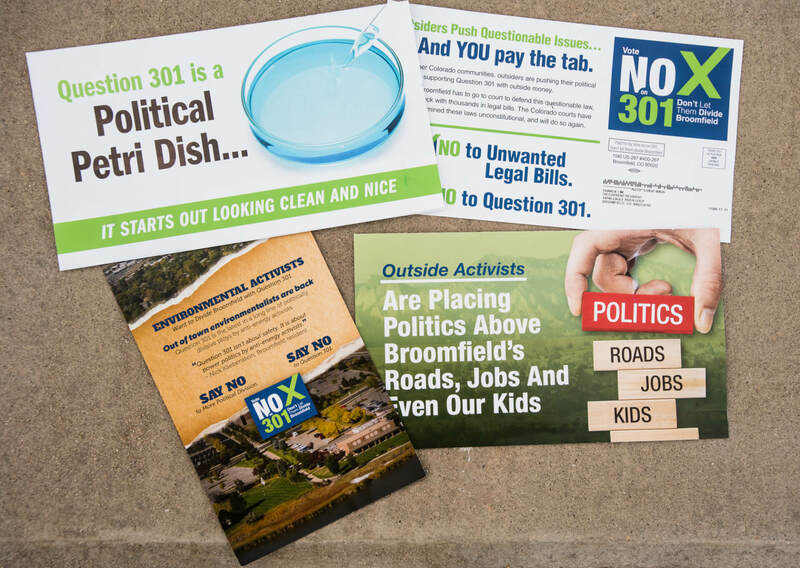 “Vote No on 301” spokesman Don Beasley did not respond to The Colorado Independent’s request for comment on his group’s allegations of influence from national environmental groups. An op-ed on ColoradoPolitics.com claims that evidence comes in the form of a “paper trail,” because the campaign address for one “Yes” campaign — Citizens for a Safe and Healthy Broomfield — is the same as that for the Sierra Club. Campaign finance reports, however, show that the issue committee had not received any contributions or made any expenditures at all as of Oct. 17. What exactly does that No on 301 money buy? Broomfield Councilman Kreeger suspects at least some of it went into paying a private investigator to delve into his personal life. On June 28, a man later identified as Greg Sexton came to the City and County offices (Broomfield is a city and a county, as is Denver), asking for information about Kreeger. According to Kreeger, a clerk had become concerned when Sexton showed an FBI badge while retrieving public documents about Kreeger, including his voting records and divorce proceedings. The clerk alerted her boss, who alerted Kreeger. Kreeger then called the Broomfield police and asked them to look into it. Police reported back to Kreeger that they had identified the private investigator who had been in the county offices after watching security camera footage and speaking to the clerks. Police called Sexton, who works for Beacon Investigative Services in Colorado Springs and is identified on their website as a former FBI special agent. According to Kreeger, Sexton confirmed to Broomfield police that he had indeed shown his badge, but declined to say who had hired him. In an interview with The Colorado Independent, Broomfield Police Department Deputy Chief James Pfankuch confirmed that most of that story was accurate. However, Pfankuch said he was convinced that Sexton was merely trying to reassure the clerk that he was not a stalker by offering to show his FBI badge, and Sexton did not improperly try to use his FBI credentials to intimidate or coerce the clerks, since all the information he sought was available to any citizen. “To me, this is a nothing story,” says Pfankuch. Absent Sexton’s help, there is no obvious way to determine who paid him to dig into Kreeger’s background. Karen Crummy, spokeswoman for Protecting Colorado’s Environment, Economy and Energy (CRED), said that the issue committee was neither aware of nor involved in the hiring Sexton’s hiring. Scott Prestidge, spokesman for the Colorado Oil and Gas Association, sent The Independent an official statement on 301 but refused to answer any specific questions relating to these incidents. The case of the curious P.I. was preceded by another sequence of events targeting Kreeger. Cramer, contacted by The Colorado Independent, says he filed the request because he had been hearing rumors about Kreeger’s correspondence with an agitator. Upon receipt of the emails, Cramer said, he took them to his neighbor, Tom Cave. Cave is a frequent speaker at Broomfield city council meetings and member of the pro-industry group, Front Range Energy Alliance. The Kreeger emails also were obtained by the industry-backed Western Wire, a pro-oil and gas website sponsored by the Western Energy Alliance. Western Wire then published several articles involving Kreeger. In the first, dated May 26, Western Wire insinuated that Kreeger was supportive of the author of the emails, who in another venue had advocated “a sniper shooting one of the [oil field] workers.” According to the article, even after the man’s “call for violence was published in a letter to the editor,…Kreeger wrote: `I applaud your energy and your desire to fight for what’s right.’” The Western Wire articles were referenced by political opponents of Kreeger in open council sessions, according to the Broomfield Enterprise’s later story on the matter. These efforts aimed at Kreeger and his allies didn’t stop there. 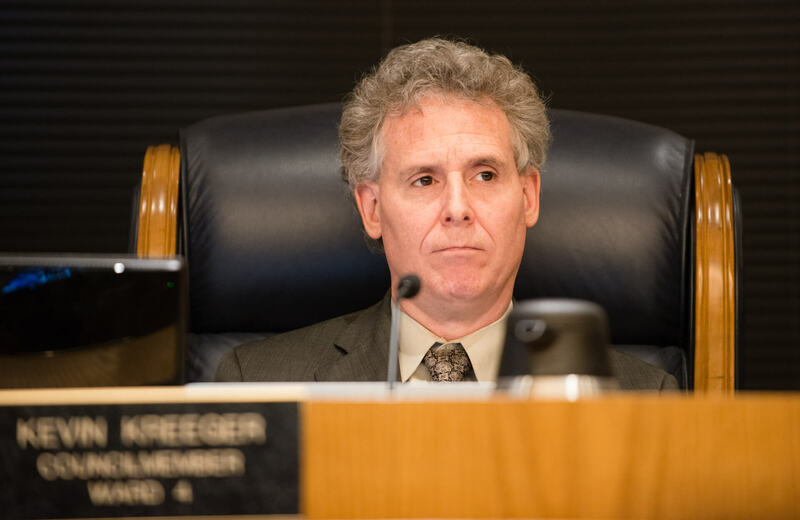 On June 2, a man named Nicholas Zanetti made another slew of CORA requests for Kreeger’s emails that included his correspondence with a list of 18 people who have been variously involved in opposition to residential oil and gas development. These people include a lawyer representing Broomfield residents, two other lawyers involved in crafting Front Range communities’ responses to oil and gas issues (including the aforementioned Dan Leftwich), and a number of local residents involved in researching ways to enhance local powers to restrict oil and gas development. In June 2016, Raise the Bar – Protect our Constitution,” the industry-supported initiative that successfully made it more difficult for some statewide citizen initiatives to get on the ballot, reporting paying the Definers $500 for video production, according to reports filed with the Colorado Secretary of State. Repeated calls and emails to the Definers headquarters have gone unanswered — in fact, the phone just rings repeatedly, as the office apparently has no voicemail set up. Attempts to reach Zanetti through his LinkedIn account and Facebook page also garnered no response. Crummy, the CRED spokeswoman, also said that the issue committee was neither aware of or involved in the hiring of Zanetti. Broomfield is one of many Front Range communities struggling with an onslaught of proposals for “residential development” of large oil and gas industrial facilities near schools, playgrounds, and homes. It’s a tough fight in Colorado, where state laws effectively written by industry lawyers and supported by lavish donations to state politicians overwhelmingly favor oil and gas extraction. Despite assurances from Gov. John Hickenlooper that Colorado has the “strongest regulatory approaches in the country” regarding oil and gas development, many citizens contend that those regulations are insufficient to respond to the rush of drilling that has come closer and closer to burgeoning communities. Broomfield has been fighting over a proposal by Extraction Oil and Gas to drill a shifting number of proposed wells, which has been as high as 141, scattered around a shifting number of well pads, and now sits at 84 after last week’s MOU was approved. Citizens have been organizing and attending community meetings in record numbers, and have tried to coax council to pass a six-month moratorium (which failed), as well as organizing a failed recall election against Mayor Pro Tem Greg Stokes for allegedly failing to reveal his financial investments in oil and gas projects. The Broomfield fight isn’t surprising to anybody who has been watching Colorado politics. The industry has signaled its willingness to spend lavishly to get its way in the state. In September 2015, part of its playbook was leaked to The Colorado Independent in the form of a transcript of a speech given at the Interstate Oil and Gas Compact Commission by Mark Truax, who runs a public relations firm PAC/WEST Communications, Truax is also the Director of Operations and Coalitions for CRED. Read Truax’s speech here. In his speech, which was recorded by Greenpeace, Truax correctly noted that Colorado citizens had been successfully coalescing in 2012 and 2013 to combat the rising tide of oil and gas development that threatened to infiltrate their communities the way king tides are flooding Miami streets. He also said the industry hit back hard, with $12 million committed by Anadarko and Noble Energy that helped pay for canvassers to knock on 1.7 million doors, profile 3.9 million voters, and utilize traditional broadcast messaging as well as internet and targeted messages. Truax bragged that their efforts had resulted in “making sure that the right city council members got elected to the city council to stop a potential fracking ban” in Fort Collins. He then bragged that “We then also elected a pro-city council, a pro-energy city council” in Denver. Truax said that their efforts included making sure that each Weld County resident had received 185 “digital impressions” of the industry’s messages. No wonder VanderKooi was getting ads on her Facebook and Words with Friends games. In his speech, Truax called 2015 “the year of the whack-a-mole,” referring to repeated, ongoing efforts on the part of local communities to find any way they can to say “no” to development that is cropping up, quite literally, in people’s backyards. But if the industry thought that communities would fold up their tents, it was wrong. The battle just went hyper-local. Boulder County recently passed new regulations that are likely to be challenged by the industry. At an Oct. 14 city council meeting, Lafayette authorized spending up to $500,000 on legal fees to fight proposals coming to town, and at a recent city council candidates’ forum, all 14 candidates vying for four seats stated they would oppose any fracking in the city. Erie passed an odor control ordinance after hundreds of citizens complaints were investigated by the state regulatory agency and none of them were found to be actionable. And Thornton is fighting its lawsuit against the Colorado Oil and Gas Association (COGA) regarding the city’s recent ordinance. Residents are increasingly turning out in droves to make their displeasure known. At an unusual meeting on Oct. 12 that was requested by Broomfield citizens to directly address the members of the COGCC, Broomfield resident Mackenzie Carignan took her three minutes to plead with the regulatory agency tasked with overseeing the industry. Kelsey Ray contributed additional reporting to this story. All photographs by Ted Wood/The Story Group. Header image: Lois VanderKooi, part of a Broomfield community group hoping to pass Question 301, stands in front of the Interchange Pad, the first location Extraction Oil plans to develop. (Ted Wood/The Story Group). The Story Group is an independent, multimedia, journalism company based in Boulder. 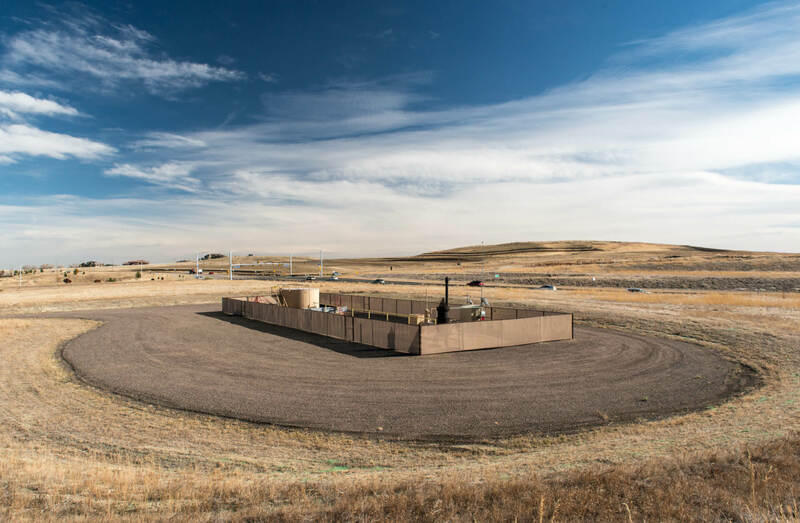 Its reporting on the aftermath of a fracking site explosion in Windsor, Colorado recently won the National Press Foundation Thomas L. Stokes award for Best Energy and Environment Writing. Daniel Glick is former Newsweek correspondent who has written for National Geographic, Rolling Stone and dozens of other national and international publications. Ted Wood is photojournalist who has worked for Vanity Fair, Time, and many other publications.